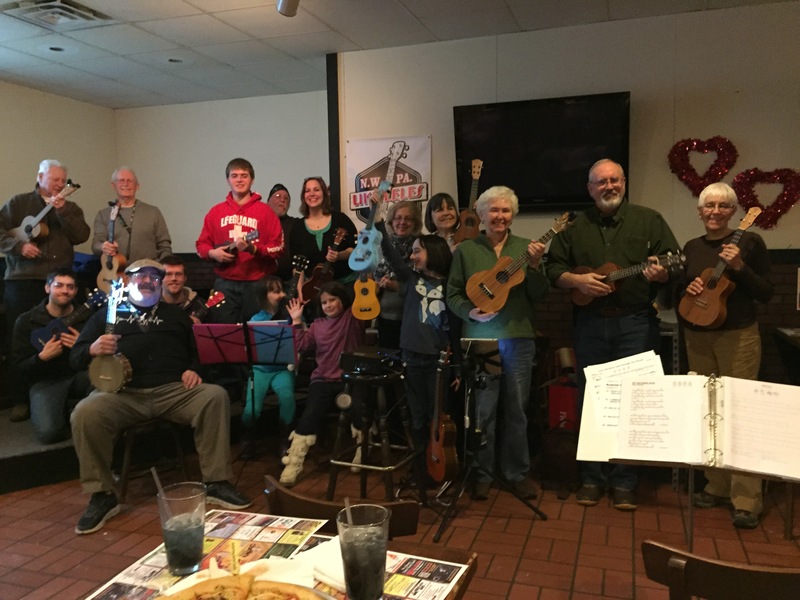 With temperatures in the single digits and more than three feet of snow on the ground these intrepid ukulelists made it out to celebrate World Ukuele/Groundhog Day. As can be easily seen in this picture we have several very young members in our group now which helps to keep the groups’s median age lower. Good! Our next regularly scheduled get together is on Tuesday, February 10. Hope to see you there. This entry was posted in Uncategorized on February 3, 2015 by drew6491.